When I was 14, my mom, grandma, and I took a 3-day road trip to Iowa to attend Schmeckfest – a festival celebrating the cuisine of Germans-from-Russia, our ancestors. I’m not sure how many teenagers would be willing to drive 16 hours each way with her mom and grandma to essentially eat a lot of food, but my love of food goes back to infancy, so naturally, I was thrilled. Among the classic dishes served (strudel, kuchen, lots of sauerkraut), one distinct memory I have from the trip was eating peppernut cookies. A cookie with pepper in it seems weird, I know (and weirder yet, these contain no nuts! ), and the fact that you roll them out into little worms? Weird, too. But the thing is, you end up with these tiny, spicy, crunchy little cookies that you could seriously eat by the handful. There are tons of peppernut recipes out there, but this is my favorite because there’s a lot of great spice happening. I’ll also note that these are great cookies to make with kids because the worm-rolling is totally fun and uniformity isn’t really important. My toddler also loves that they are the perfect size of cookie for a doll or stuffed animal. Excellent at a tea party. 1. Preheat oven to 350. Stir the dry ingredients together (flour, baking soda, cream of tartar, and spices). Beat the butter and sugar together until fluffy, then add the eggs and anise and beat for another minute. 2. Slowly add the dry ingredients. If the dough gets too dry, add in a little water (you shouldn’t need more than 1/4 cup). 3. When the dough is workable, roll it into a long rope (a ‘nake, as my daughter calls it). Cut the snake into small, 1/2-inch pieces, transfer to a baking sheet, and bake for about 8 minutes, until they just begin to get crispy. Allow them to cool on the pan. 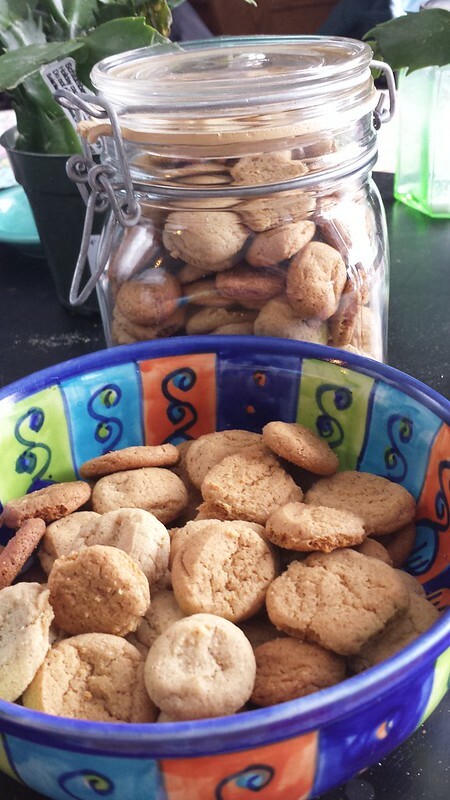 I let the cookies dry out overnight before transferring to a jar or airtight container.